On Saturday the 01st of September Berger&Kraft will organize a workshop not to be missed at 5-Continent-Congress in Barcelona (Spain). The workshop “Energy devices for the aesthetic face and body reshaping.” will take place in Room 133-134 (Level P1), from 13.30 to 14.30. 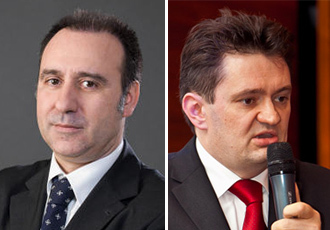 On this occasion the internationally recognized Specialists Dr. Nicola Zerbinati – Specialist in Dermatology and Venerology (IT) and Dr. Piotr Sznelewski – Specialist in Dermatology and Aesthetic medicine (PL) will share their knowledge and experience with Berger&Kraft medical devices. There will be, therefore, the possibility to take a close look at the modern and smart devices developed by Berger&Kraft – up to date with the international quality high standards certifications and supported with interactive and friendly management software – and to discover the effective, safe and painless treatment systems offered in related fields as electrosurgical, radiofrequency treatment, thermal lifting, skin photobiostimulation and cosmetology.